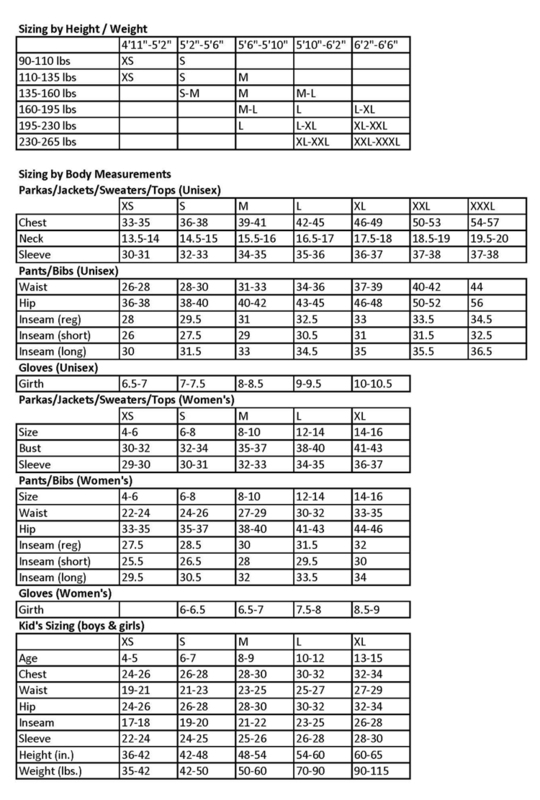 Garment Sizing Information: The chart will help you select the proper size. If you have questions, please call us. Care Instructions: Marmot does not recommend dry cleaning for any of their products. Gore-Tex® fabric products, MemBrain® fabric products, down insulated products, and fleece are all machine washable. You should use a commercial front loading machine and follow the care instructions.